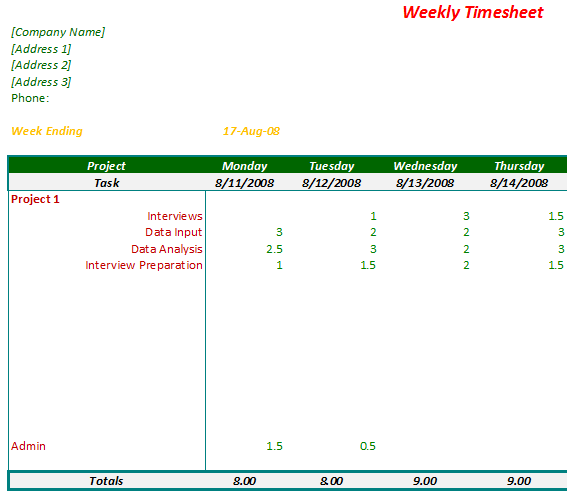 Our Monthly Timesheet Template is designed to make your business operate smoothly. 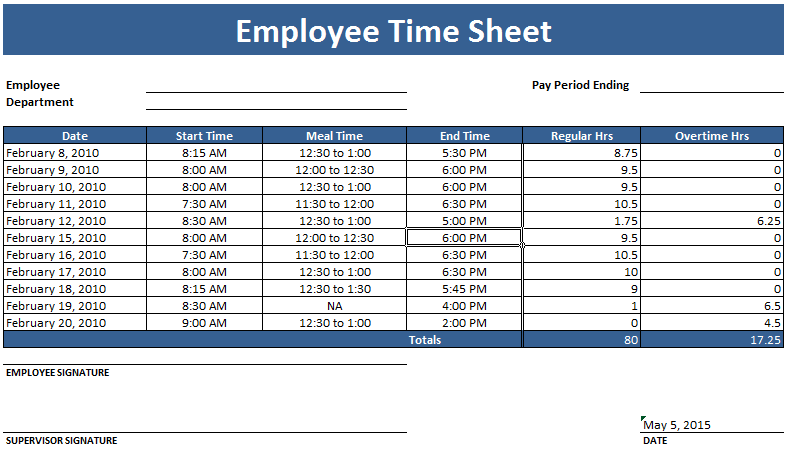 This template assists your employees in keeping track of the hours they work each pay period. If you are a business that uses employees in the field, it is important to accurately track their hours for both you, the employee and the customers they are serving. 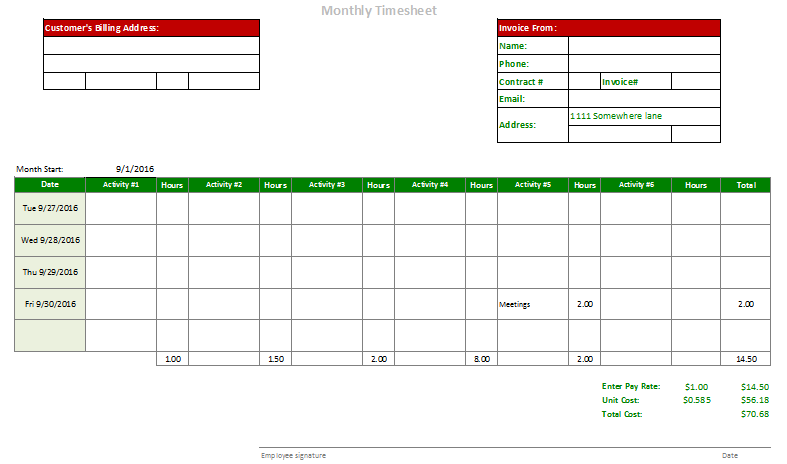 Our Monthly Timesheet Template is a great choice for your business. 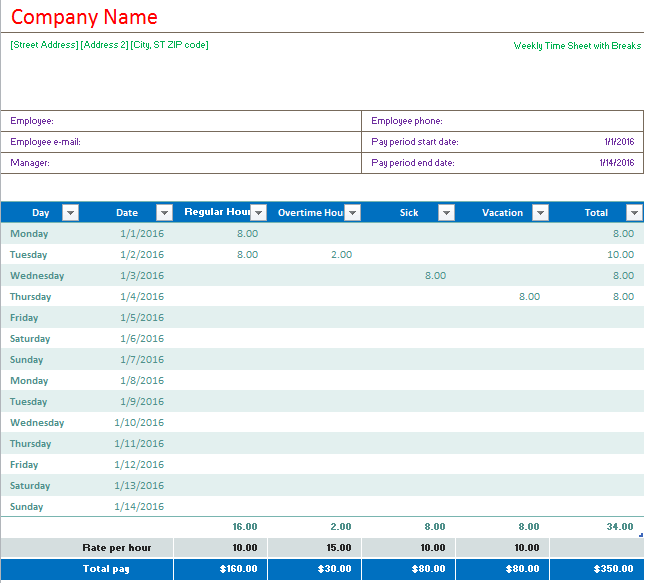 The Monthly Timesheet Template provides a modern way to enter your employee’s hours on a spreadsheet. This allows the employee to enter his hours away from the office if needed. This is especially useful for companies that have employees that work away from the office, such as consultants or service providers. 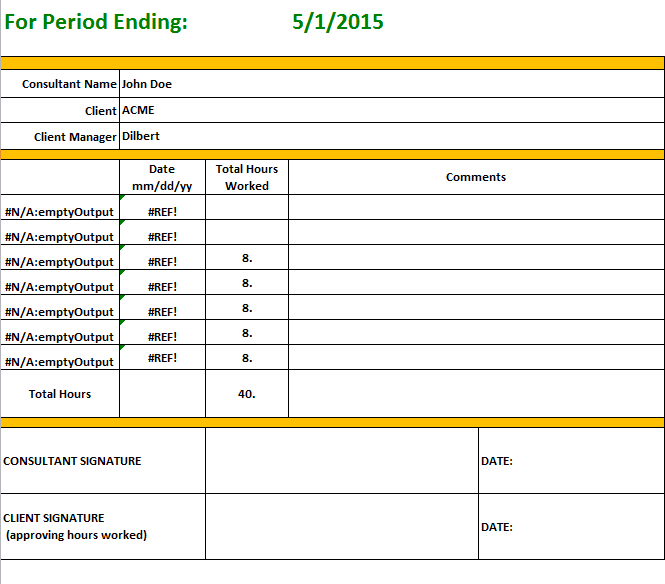 The template easily prints out a copy of the total hours worked during each pay period. The Monthly Timesheet Template makes a copy easily available to your company, employee, and clients. It is clear to everyone what hours were worked and what hours will be billed. And, since the template is computer based, this payroll information is always available through internet access. 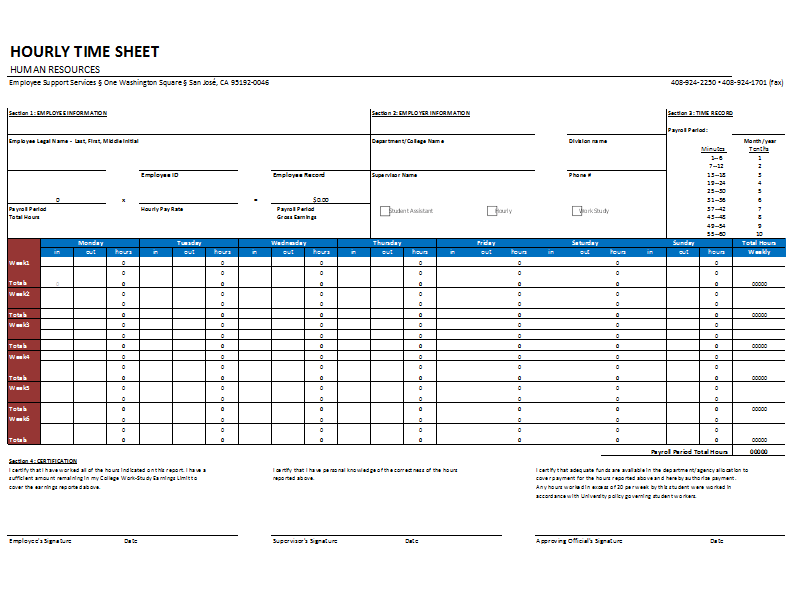 Our Monthly Timesheet Template is a great way to keep track of the costs of your employees who travel on business. In the past, employees who traveled had to return home and then write up their expenses and provide documentation. With this template, your employees can document their travel and mileage calculations as they incur the charges. Using our Monthly Timesheet Template, your employees can use a variety of computer devices to record their expenses. Our template uses Excel to calculate the totals and to provide a completed report of your employees monthly expense accounts. Our template has blocks organized by days to allow your employees to easily enter their expense amounts. The Monthly Timesheet Template keeps a running tab on these expenses and your company can view the amounts on the template at any time. When completed, the template provides totals for all the monthly expenditures. All your employees need to do is to provide receipts on their return and sign the printout of their expenditures. 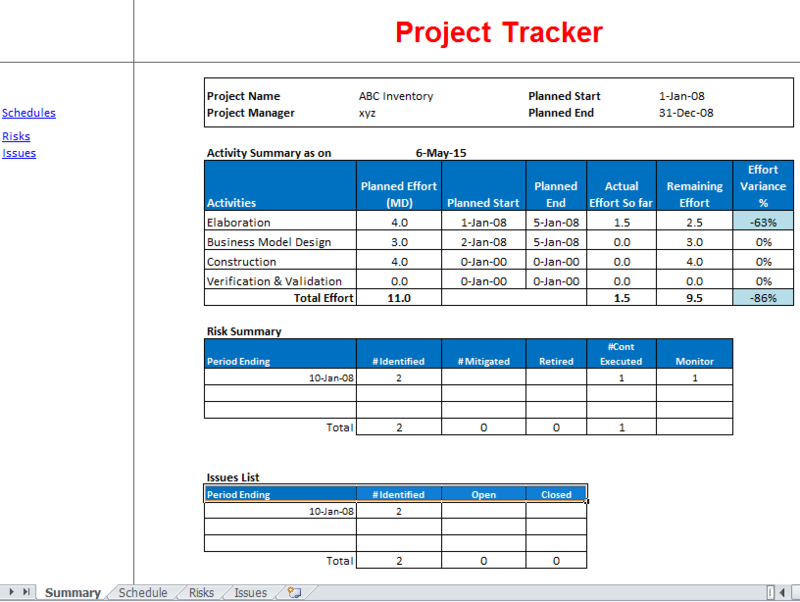 Our Monthly Timesheet Template will be a great asset to your business.